Having fun at the STEAM program were Kay, Anita, Sam, Jaden, Jordyn, Annabel, Lilly, Nate, Holly, Riley and Miss Bonnie, Children’s Specialist at the library (not pictured). 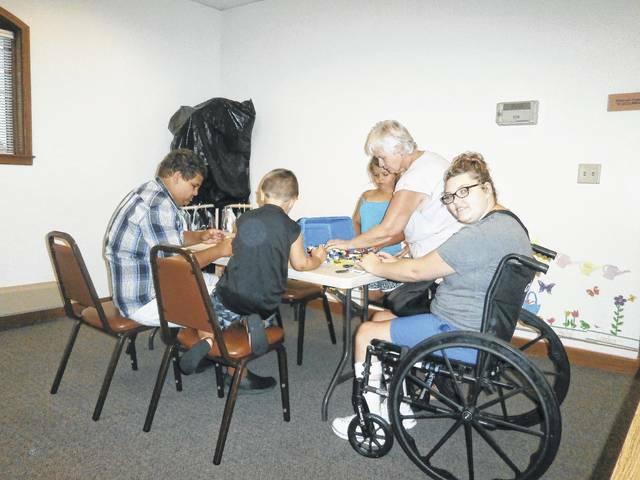 Jeffersonville Branch Library was the place to be for Miss Bonnie’s Marble Run STEAM (science, technology, engineering, art and mathematics) program. Who knew learning could be so much fun? Participants learned the higher we put the track, the faster the marbles would go, that hills made of blocks were faster than hills made of Legos, and that at the right slope participants could even make a roller coaster and the marbles would shoot out the end of the track. Annabel wanted to try making the marble jump the track so they tried different slopes and hills and came up with the right hypothesis, and it worked. They got the marbles to even jump the tracks. https://www.recordherald.com/wp-content/uploads/sites/27/2017/07/web1_nate-jaden-jordyn-anita-riley-work-on-lego-hill.jpgHaving fun at the STEAM program were Kay, Anita, Sam, Jaden, Jordyn, Annabel, Lilly, Nate, Holly, Riley and Miss Bonnie, Children’s Specialist at the library (not pictured). 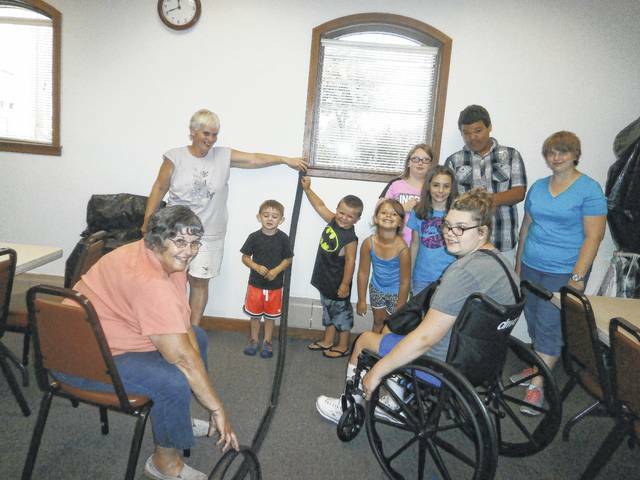 https://www.recordherald.com/wp-content/uploads/sites/27/2017/07/web1_enjoying-marble-run.jpgJeffersonville Branch Library was the place to be for Miss Bonnie’s Marble Run STEAM (science, technology, engineering, art and mathematics) program. Who knew learning could be so much fun? Participants learned the higher we put the track, the faster the marbles would go, that hills made of blocks were faster than hills made of Legos, and that at the right slope participants could even make a roller coaster and the marbles would shoot out the end of the track. Annabel wanted to try making the marble jump the track so they tried different slopes and hills and came up with the right hypothesis, and it worked. They got the marbles to even jump the tracks.